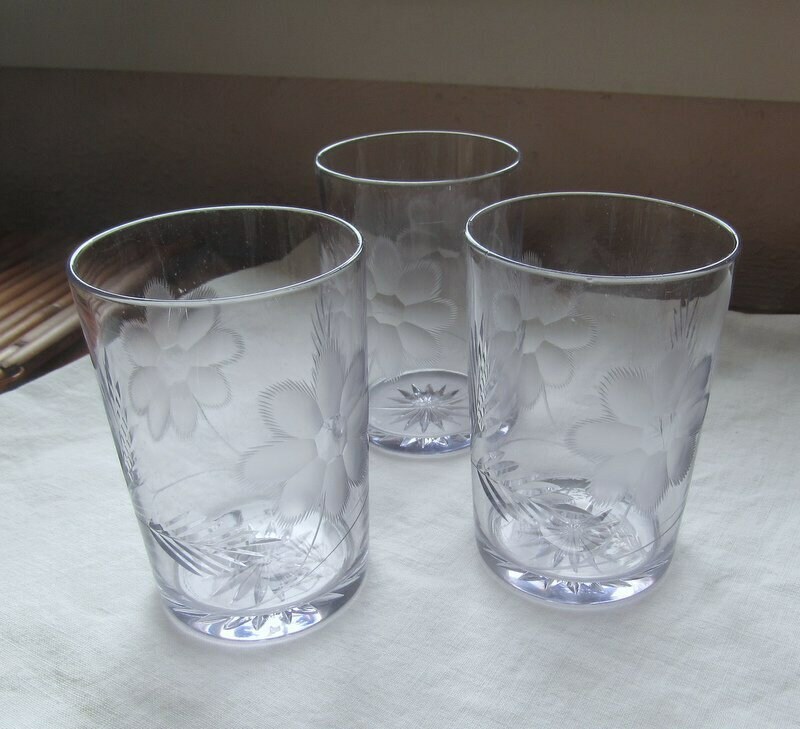 Here are 3 gorgeous vintage crystal glasses that have been etched with a floral and leaf design. They have turned a lovely shade of lavender, called sun purple. These three glasses measure 4 inches high by 2 and 3/4s inches across. Each has a sunburst pattern on the bottom. They are in excellent vintage condition with no chips or cracks. *I am offering free shipping with the purchase of these lovely etched crystal juice glasses.